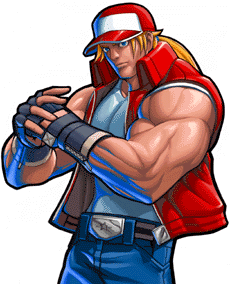 Fatal Fury Team Available in Real Bout 2 style by holding Start during selection. 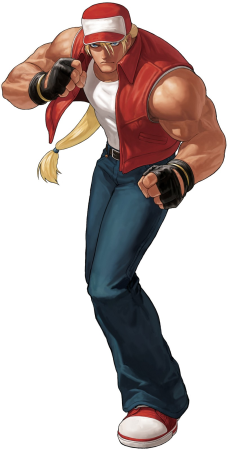 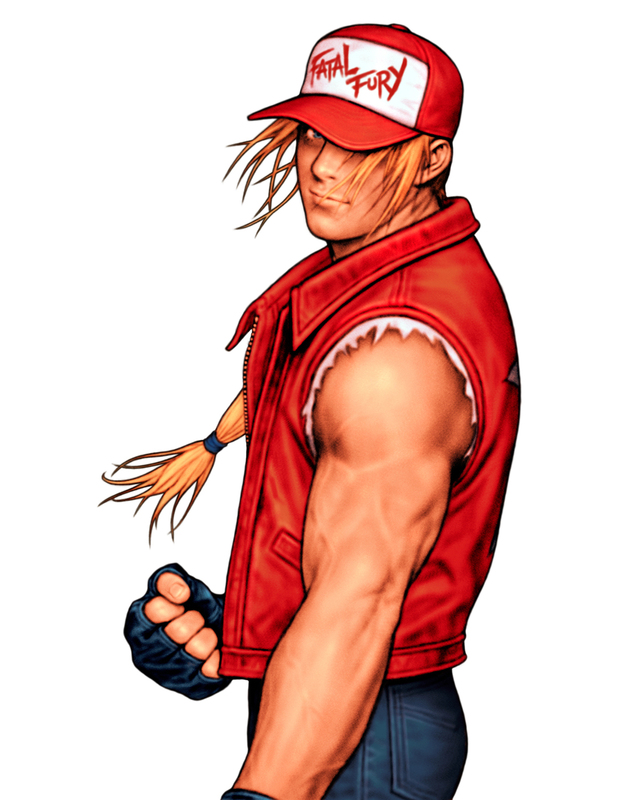 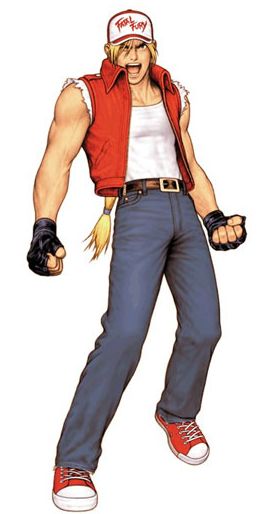 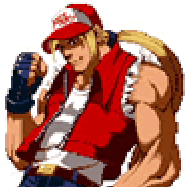 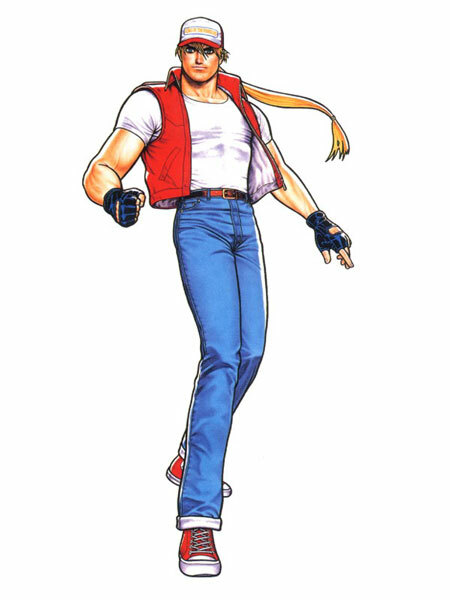 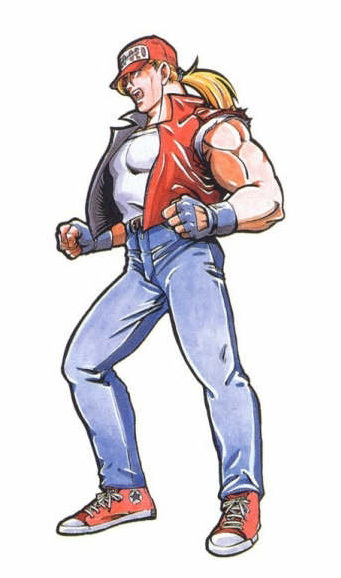 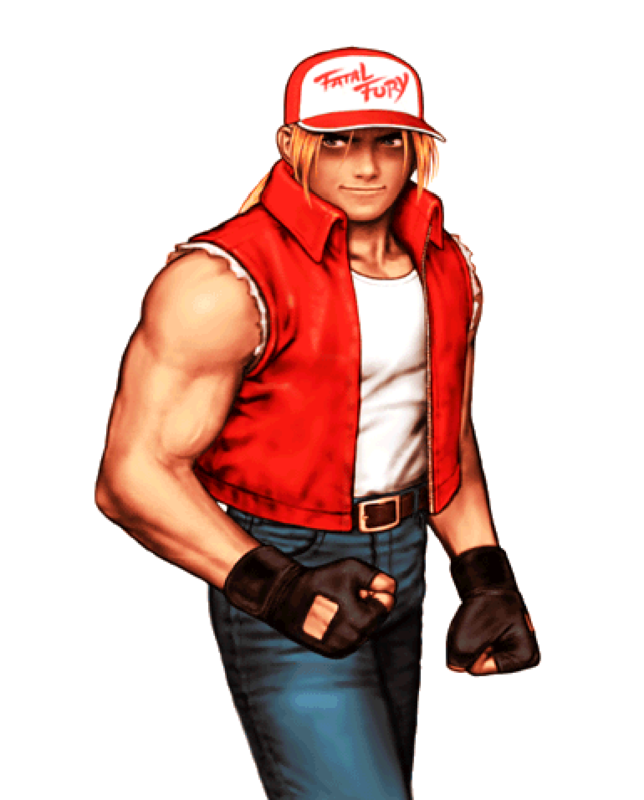 Member of the Fatal Fury Team. 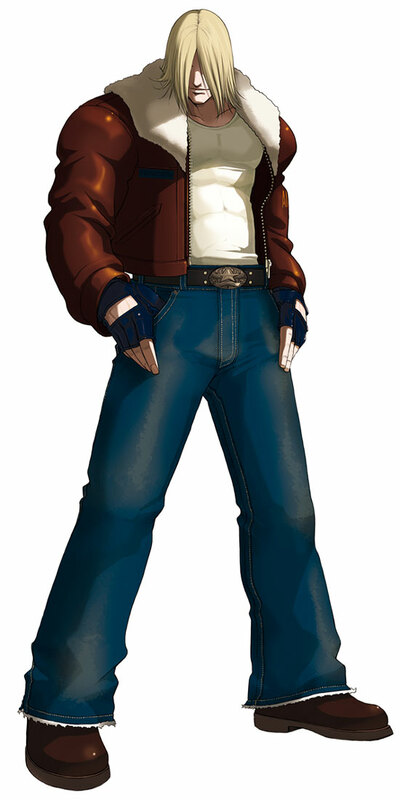 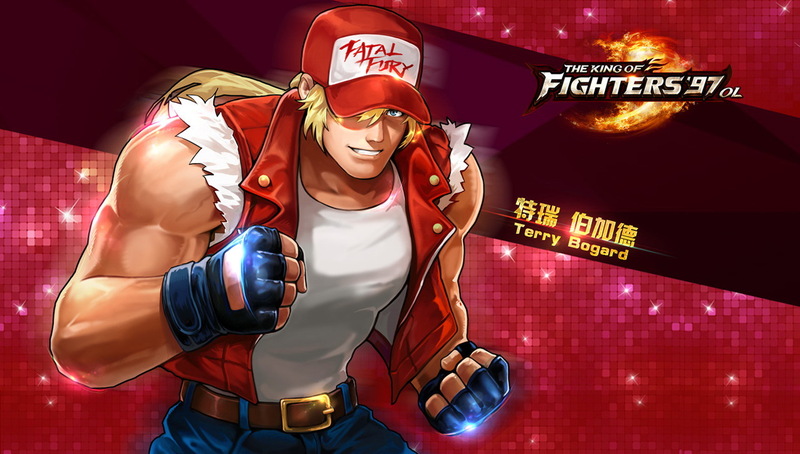 Terry's finger point win pose (adopted since Mark of the Wolves) is a signature gesture of Jotaro Kujo, who uses it frequently in his own games. 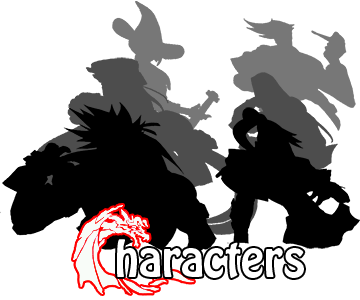 The significance of the expression "Stand up!" 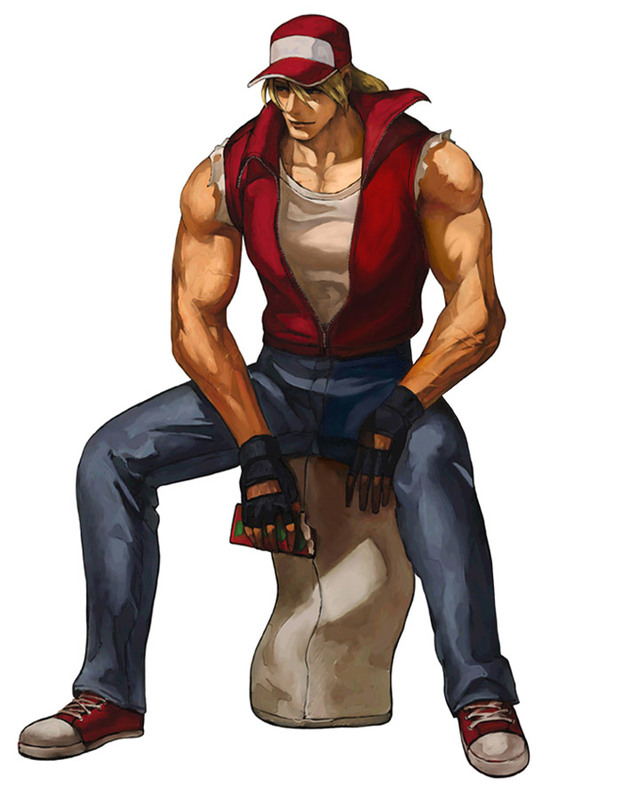 is lost on me, though. 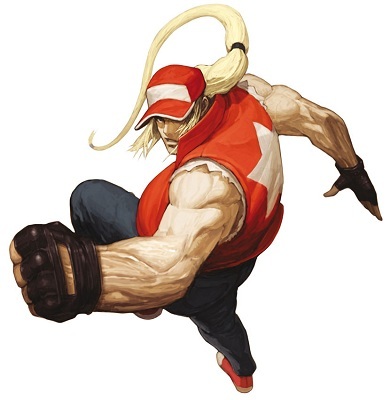 Axl Low's background in Guilty Gear features some tiny figures in the distance. 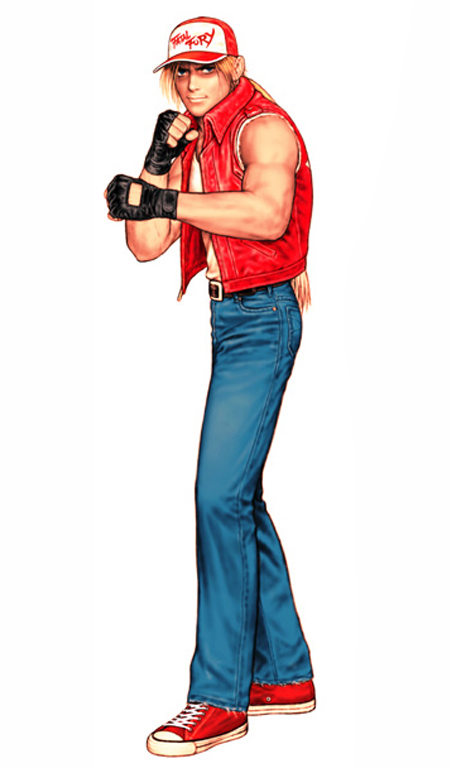 Close inspection reveals several of them to be Fatal Fury characters--Geese on the left, then Terry, Andy, Mai, and Joe from the right. 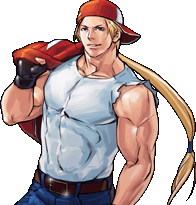 Billy and Athena may also be present, but that's arguable. 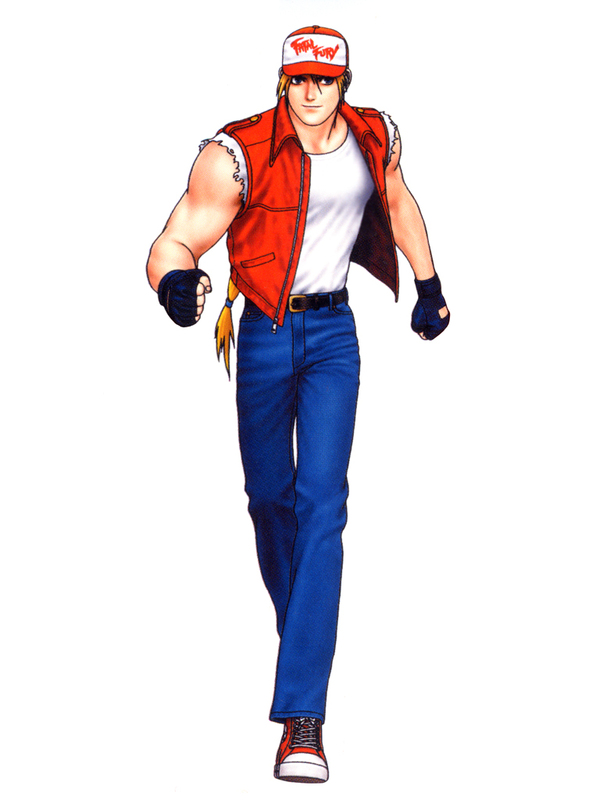 In 2006, G-Mode and SNK Playmore released a mobile phone game called Garou Densetsu vs. 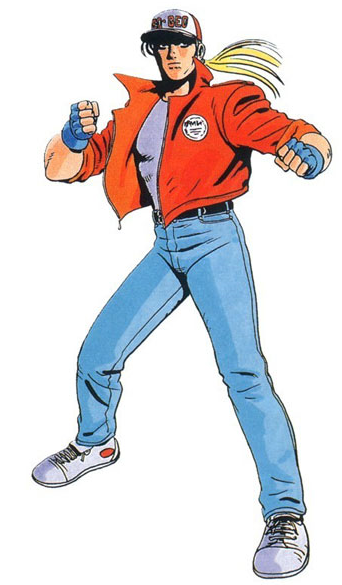 Fighter's History Dynamite. 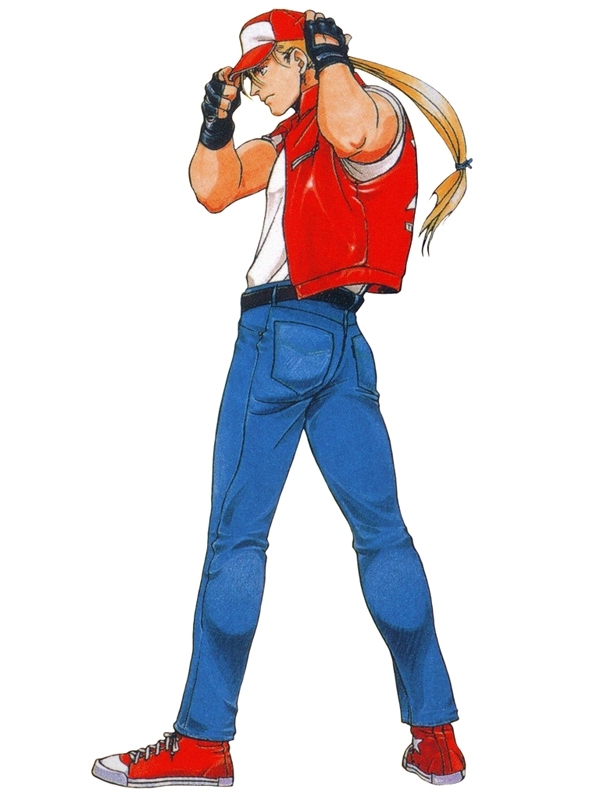 The game - a beat-'em-up as opposed to a versus fighter - starred Terry Bogard, Mai Shiranui, and Makoto Mizoguchi as playable characters. 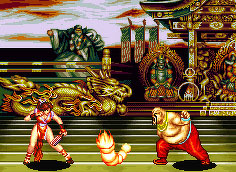 Many of the generic enemies came from the two series represented, and Geese Howard and Karnov were placed as boss characters. 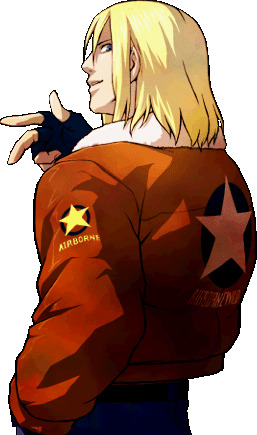 In January 2010, SNK Playmore released a vertical shooter game in arcades called KOF Sky Stage. 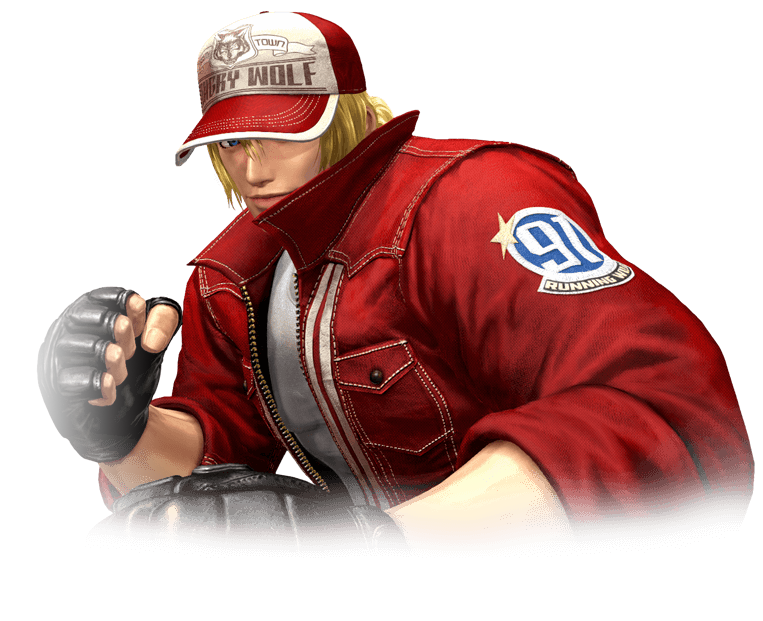 Playable characters included Kyo Kusanagi, Iori Yagami, Terry Bogard, Mai Shiranui, Athena Asamiya, and Kula Diamond. 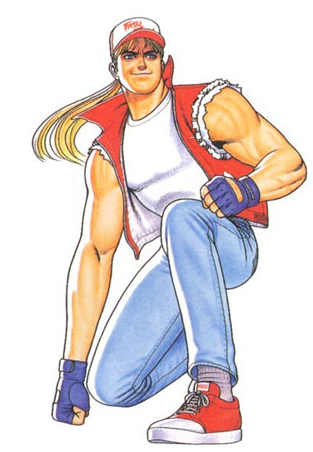 Sky Stage was later released for Xbox LIVE Arcade.